The day of Alkatiri's resignation  which happened to be the morrow of the independence day of Mozambique, the Lusophone country where the former leader had spent twenty-four years in exile  frenetic negotiations began for the choice of a new prime minister. On 8 July, after two weeks of intensive negotiations, the choice of Josè Ramos Horta  the country's long-term foreign minister and (since the first week of June 2006) defence minister  assumed his third senior role as head of government of the troubled nation. His nomination was widely welcomed by East Timor's most influential institutions such as the Catholic church (including senior bishops), President Xanana Gusmao (who his reported to have insisted on his appointment), and members of the leading Frente Revolucionária de Timor-Leste Independente (Fretilin) party. The international political and media reaction was also positive, reflecting relief at the apparent easing of the crisis and respect for Ramos Horta's long-standing role as (along with President Xanana Gusmao) a figurehead of East Timor's long campaign for independence during the twenty-seven years of Indonesian occupation. 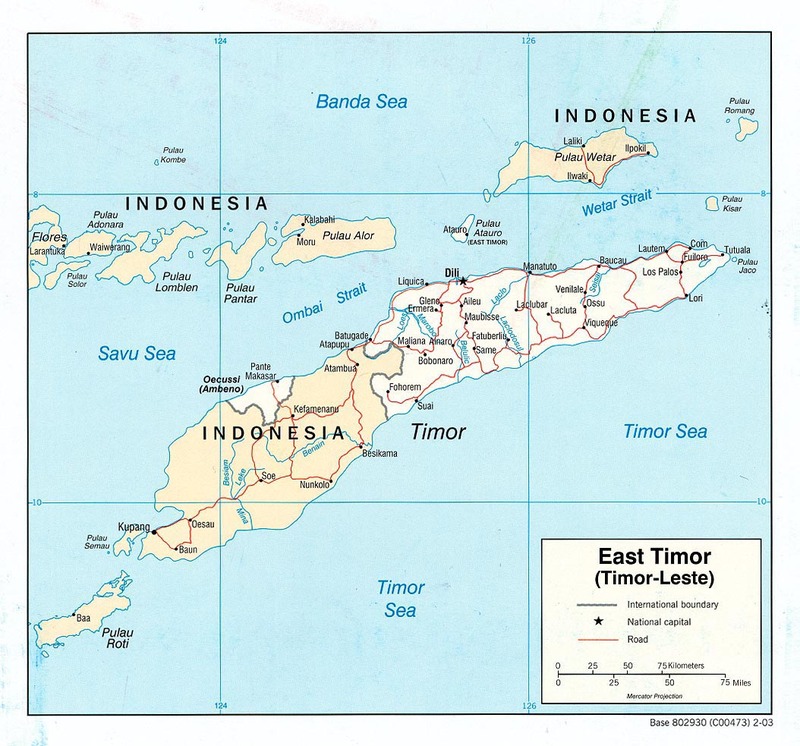 At the same time, expectations of a rapid end to the problems of East Timor (Timor-Leste in Portuguese, Timor Lorosa'e in the main indigenous language, Tetum) may turn out to be misplaced  for many challenges lie ahead in the short and long term. Meanwhile, Ramos Horta faces a difficult choice in relation to the 2007 elections. Will he stand for election, and under what circumstances  by returning to the Fretilin party he and Gusmao resigned from (as many of its members want) or alongside Gusmao in a new party? It is likely that Alkatiri, who recovered some of its lost popularity by resigning and thus helping contain the burgeoning unrest, will dedicate his own efforts to the party and to its success in the elections. Many of these groups, which claimed to be fighting for President Gusmao, have their own dubious agendas. This was clearly demonstrated on 7 June, when one rebel  Marcos Tilman  gave Gusmao fifteen days to dissolve parliament and call new elections or "face the fury of the Timorese people". People like Tilman  and other candidates from among the petty warlords  have the potential to cause further unrest. The majority of ordinary soldiers who rebelled against Alkatiri may have been motivated by an instinct to right perceived injustice, but their leaders  organised under banners such as the "peace, unity and justice commissions" which are reminiscent of warlord-led groups in Sierra Leone or Liberia  often pursue less noble ambitions. There is a further problem of missing firearms belonging to the now-defunct Timorese national police. Around 4,000 weapons  many of them high-calibre machine-guns such as M-16s  are still unaccounted for, and could be in the hands of former militias and pro-Indonesian forces who had been allowed to join East Timor's police force through a combination of Xanana's well-intentioned strategy of national reconciliation and poor planning by the United Nations. All the problems of instability are shadowed by high levels of unemployment in East Timor  perhaps 50% nationwide, and 80% in the capital, Dili. Alongside the proliferation of firearms and the widespread culture of organised gangs, this provides ready opportunities for would-be leaders to exploit East Timor's troubled situation.